Back pain is one of the largest reason people visit their doctors and it is quite common for an epidural steroid injections to be a gold standard for treatment for short-term pain relief and even longer term relief. The injections seem to be most effective for people who have “radicular” pain, or pain that radiates from the spine to a leg or an arm, caused by a herniated disk. Even so, relief is often only temporary, and injections should be limited to no more than two or three a year. Epidural steroid injection ESI is a common injection given to treat inflammation that is related to neck-related arm pain or low back pain related leg pain. Associated leg pain (called lumbar radiculopathy or sciatica) occurs less frequently. In both cases, the spinal nerves get inflamed due to the closure of the passages where the nerves travel as they come in and out of the spine. Epidural injection located inside the spinal canal and extends from the low back to the tailbone. Epidural steroid injections ESI are used only to treat pain and discomfort, not as a permanent solution to the source of the pain. However, if they are effective in managing the pain, an epidural steroid injection may be recommended as an alternative to invasive surgery. The clinical use of ESIs in the treatment of lumbar radiculopathies has a strong pathophysiologic basis. An epidural injection is often recommended for patients who experience chronic back pain or sciatica and have not been lucky with the conservative prescriptions. Patients with bulging or herniated disc are also prone to undergo this procedure. People who have been involved in car accidents and are recovering from back surgery can also be given the epidural injection to realize pain relief. A person with called lumbar radiculopathy and cervical radiculopathy is a good candidate for epidural injection. Called lumbar radiculopathy. Cervical radiculopathy is the damage or disturbance of nerve function that results if one of the nerve roots near the cervical vertebrae is compressed. What happens during the epidural injection procedure/ how are the injections performed? Three main methods can be used to deliver the steroid into the epidural space. The caudal, interlaminar and transforaminal methods. The three approaches entail placing the needle into the area by use of x-ray or fluoroscopic guidance. Before the needles are inserted, a contrast dye is applied to see if the medication is traveling to the desired area. A local anesthetic is applied to numb the areas to provide temporary pain relief. The interlaminar method involves placing the needle into the epidural space and delivering the steroid over a wider region. The caudal method makes us of the sacral hiatus, which is an opening above the tailbone, to allow the needle down the epidural space. Both methods allow the steroid to spread through some spinal segments and cover both ends of the spinal canal. With the transforaminal ESI, which is simply known as a nerve block, the needle is injected alongside the nerve as it moves away from the spine and the dose of medication is inserted into the ‘nerve sleeve.’ The medication moves up the sleeve to the epidural space from its sides. This creates a condition where three will be more concentration of the steroid on the affected area. Transforaminal ESIs procedure can likewise be done in a way to allow for specific coverage of a single nerve or can be even used to provide diagnostic benefit, in addition to improved fuction and pain relief. All the epidural injection methods are done on outpatient basis. You can come back for some pre-injection activities the following day. Some of the patients request for moderate sedation, but most of the patients undergo the procedure with only the local anesthetic at the skin. The patients having the moderate sedation are often monitored with blood pressure devices, EKG, blood, and oxygen monitoring device. The injection of the steroid begins to work after one to three days, but it may take up to a week for you to realize the significance of the procedure. However, some patients will feel an increase in their previous pain for few days after the procedure which happens in a small percentage of the patients. Some patient may receive some side effects such as steroid flush. This comes in the form of flushing of the chest and face which can continue for a few days together with a warm sensation or a small increase in temperature, trouble sleeping, anxiety temporary water retention and a change in the menstrual cycle n women. You don’t have to worry as this effects are mild and will only last for a few days. Certain patients, especially those with prior neck or back surgery around the injection site, may have some soreness or ache for a day or two. This is due to the mechanical process of needle insertion, as well as initial irritation from the volume of the medications injected. 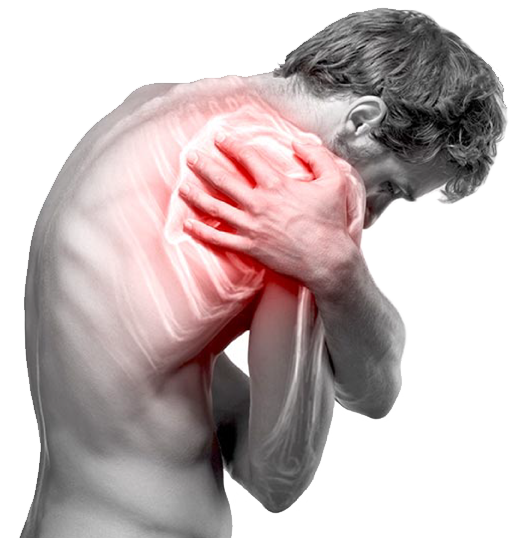 Patients can start noticing pain relief starting the second to third day. We recommend that you rest the day of the procedure, but you may resume regular activities the following day. How many epidural injections do I need to have? In case the first epidural infection does not relieve your pain symptoms, your doctor will recommend a second procedure. Similarly, is the second injection does not relieve your pain within two to three weeks, you will be recommended for another injection. Most patients with cervical radiculopathy recover with non-operative, minimally invasive treatments. If pain continues in spite of these treatments, it could be possible that surgical treatment may be recommended. Additionally, patients with more severe radiculopathy can decide to have surgical treatment at an earlier point in time.